Initially, my dining companion and I wanted to catch up over a drink at Malones Irish Restaurant and Bar. Not only were we in time for happy hours, but the light bites on the menu also looked enticing. Alas, it was located along Discovery Walk at 313@somerset with no indoor seats and we could smell haze in the air. So I suggested Spanish cuisine though my only experience at a place well-known for its suckling pig was less than stellar. My usually enthusiastic companion, who seemed adventurous enough to try any cuisine, was reluctant due to previous disappointment at the paella served at this same place. 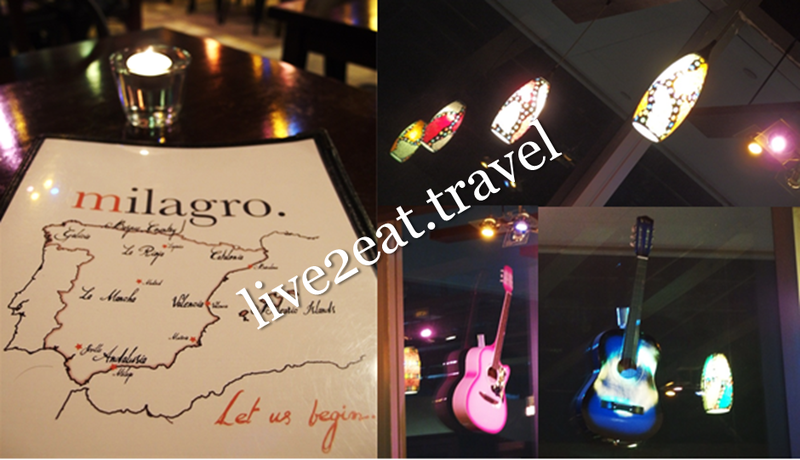 Nevertheless, we decided to visit Milagro Spanish Restaurant. Tucked away in a quiet corner on the 8th floor of Orchard Central, it opened in April this year. And the owner is 27-year-old Raymond Chong, a Singaporean with double degree in accounting and finance, who fell in love with Spanish food while on holiday in Barcelona and Madrid during his overseas exchange in Denmark. Colourful lamps and guitars stood out against the neutral palette of wooden tables, metallic silver and black chairs against concrete floor. Started with Tropical, a pale lager brewed in the Canary Islands, and ordered a couple of tapas for sharing. Octopus a la Gallega – Galician fair-style boiled octopus drizzled with olive oil, paprika and sea salt and served with raw greens and patatas, was cold but sweet and not too tough. 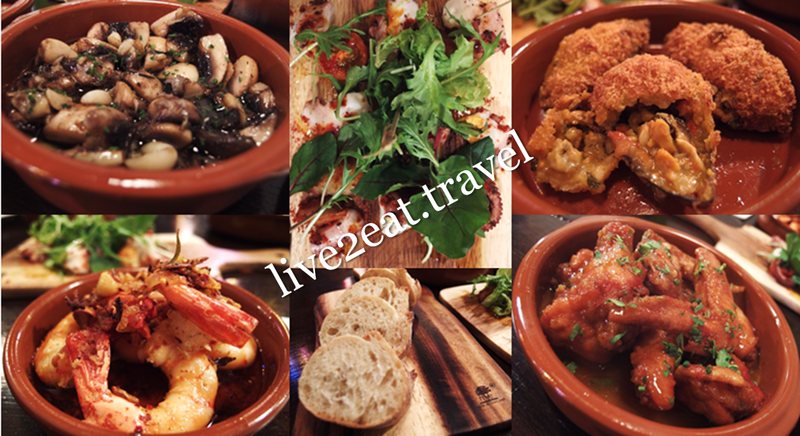 Both the non-spicy version of Champignon Mushrooms al Ajillo and spicy version of Tiger Prawns al Ajillo had nice aroma of garlic (the former contained white wine too) but were soaked in too much olive oil for our liking though the mushrooms were lovely and the prawns succulent. Thumbs up for Mussels 'Tigres' where finely chopped mussels were mixed with other ingredients to form a filling placed on a mussel shell half, and coated with a batter before they were deep-fried. Could neither rave about nor fault the recommended spicy Buffalo Wings.